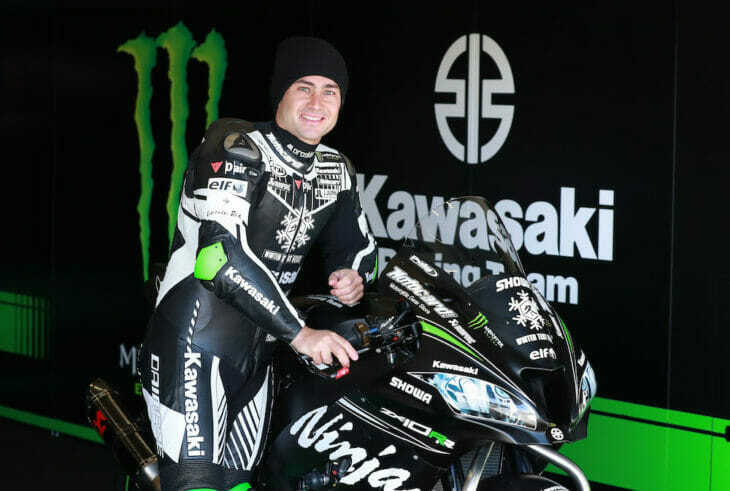 Kawasaki Racing Team’s Leon Haslam Interview – Bucket and spade brigade member Leon Haslam has been at it in professional superbike racing for 20 years. After winning his first major title—the 2018 British Superbike Championship—the son of three-time World Champion Ron Haslam plans to take advantage of his big break in the sport. 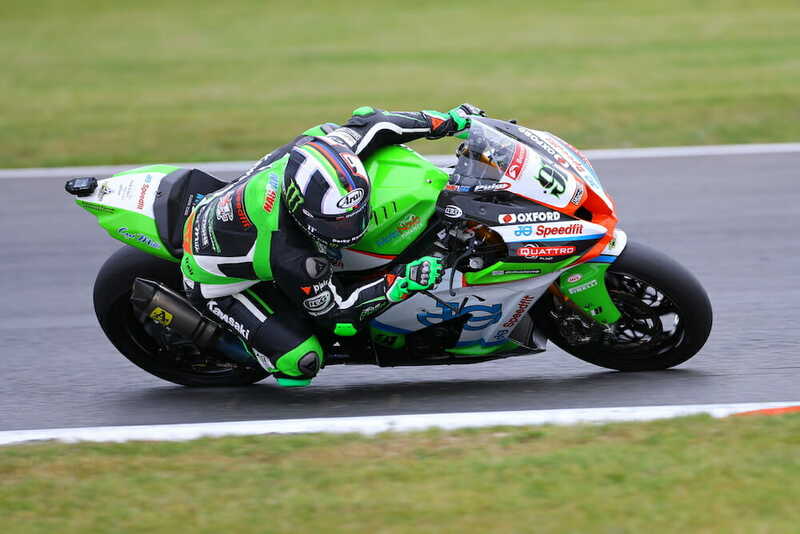 Twenty years after being named the MCN Young Rider of the Year award for placing seventh in the British 125cc Championship, it all came right for veteran racer Leon Haslam last October when the JGR Speedfit Kawasaki racer clinched the 2018 British Superbike Championship. The 35 year-old rider’s first professional championship, it had been a long time coming, but oh so fulfilling after being named Vice Champion in the British series three different times as well as placing in the runner-up position in the 2010 World Superbike Championship. The finest season of the 35 year-old’s career, and perhaps a sort of reward for such a dominating and consistent year, during the late summer months word broke that Haslam would be replacing departing Kawasaki Racing Team rider and former WorldSBK Champion Tom Sykes for the 2019 World Superbike Championship. Two decades in the making, and at many times a slog, Haslam lined up in the WorldSBK Series from 2004 through 2015, racing for five different manufacturers, namely Ducati, Honda, Suzuki, BMW and Aprilia along the way. Now, come the extinguishing the lights at the majestic Phillip Island circuit in Australia come February 24, 2019, he will go to the grid on, arguably, the greatest motorcycle the WSBK has ever seen. Haslam, the son of three time world champion Ron Haslam, says there is lots to learn on the new world superbikes, compared to the BSB bikes he’s been riding the past few years. As racing fate would have it, reigning WorldSBK Champion Jonathan Rea, and Haslam know each other quite well. The English duo paired together at the Pata Honda outfit in WorldSBK in both 2013 and 2014, and furthermore, teamed together at the 2018 Suzuka 8 Hours, where they finished a fighting third. And do the two world-class racer see making the KRT team something of a cooperative effort come 2019? “Definitely. I think that has been one of Jonathan’s main concerns. He’s probably not had the relationship he wanted with Tom [Sykes] over the last few years and Johnny and me do get on well. From a development point of view, we both know that we have similar setups. In fact, we were teammates with each other this year at the Suzuka 8 Hour and used the same bike, so as far as feedback, settings, etcetera, we’re not too far different from each other. That will be good for the development of the bike and we can obviously push one another. Haslam actually left the WorldSBK Series at the conclusion of the 2015 season when bike maker Aprilia exited the series. A man without a plan, Haslam made a decision to gravitate back to the British Superbike Series, vowing never to return to WorldSBK again. During the 2010 WorldSBK Championship season with Alstare Suzuki, Leon Haslam won three races and nearly stole the title away from multifold champion Max Biaggi of Italy. And while the Londoner was disappointed with the end result, the year resonates strongly with him as he knows he is more than capable of being a WSBK World Champion. “Can I win a title? Yeah, for sure. Finishing second in the world seems like a long time ago and I’d love to make that one better. But for me, it’s more about the opportunity and the excitement of what that possibly can be. I’m just going to grab it with both hands and see what we can do. The bike and the team are there and I’ve got a lot of things to adapt to and learn with a new team. In general, I’m pretty excited about it. 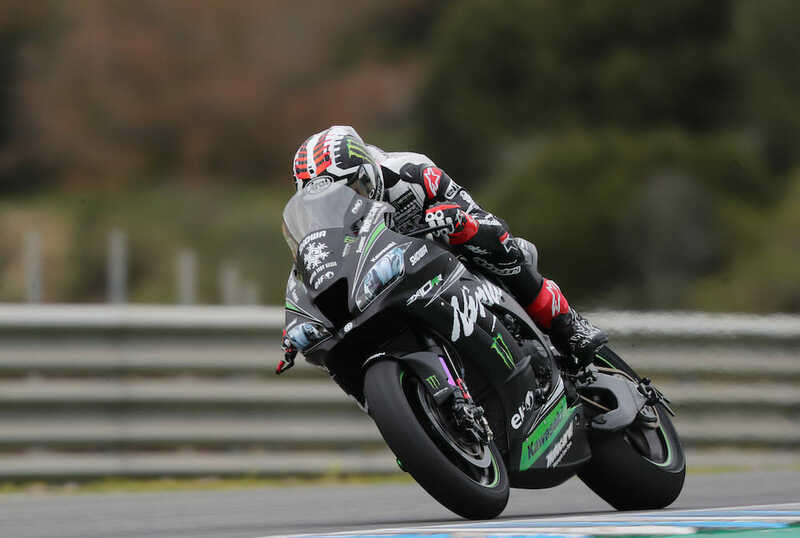 Haslam is Jonathan Rea’s new teammate. They’ve been teammates before and are good friends. With what’s left of the winter with only a couple of months remaining before everybody gets on the airplane chartered for Phillip Island, Australia, Leon Haslam has a busy off-season ahead of him. And when he does land in Australia to contest the kickoff of the 2019 WorldSBK season, Haslam feels like he’ll be going back to visit an old, wayfaring friend.